This may sound shocking to some, but Jesus is the only way to heaven. The Bible clearly teaches that there is no other way to salvation than through Jesus Christ. If you haven’t checked out what the Bible teaches about where we go after life here on earth, and how we can attain eternal life, then I encourage you to not put it off for later. A great starting place is to explore via questions. I like gotquestions.org. Type in a question, or topic, in the search field and you’ll find some concise and insightful biblical teaching. Here is one such post to explore: Is Jesus the Only Way to Heaven? “If ye be reproached for the name of Christ, happy are ye; for the spirit of glory and of God resteth upon you: on their part he is evil spoken of, but on your part he is glorified,” 1 Peter 4:14. In the early history of the church at Jerusalem, the apostles were often faced with trials. On one such occasion after preaching the gospel and seeing God’s hand of blessing upon them, the apostles were arrested and put into prison. Very soon, God miraculously released them and told them to continue preaching. When the religious Jewish leaders realized the apostles were preaching in public again, they brought the disciples to them, beat them, told them to stop preaching in the name of Jesus and let them go. As the apostles left the council, they were celebrating with one another. They didn’t celebrate because they were freed, but because they were counted worthy to suffer mistreatment for the cause of Christ (Acts 5:17-41). Imagine being mistreated, abused and even beaten because of your faith in Jesus Christ, but instead of complaining, you give high fives to your fellow church members in celebration! In today’s cultural climate, many Christians are anxious—clinging fearfully with tight-clenched fists to the few remaining liberties they have. This stance tends to produce anger instead of compassion and fear instead of faith. But what if you could see oppression the way the apostles did? Instead of becoming fearful, you were able to celebrate the fact that your faith was making an impact! 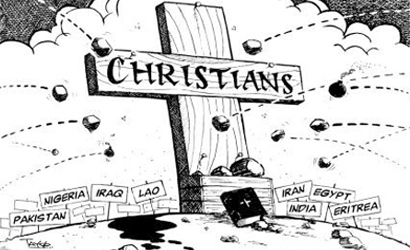 What if you saw your trials and loss of freedoms as a sign that your faith was making the enemies of God tremble? Then, your faith would probably grow even stronger. Perspective can make all the difference between joy and despair. 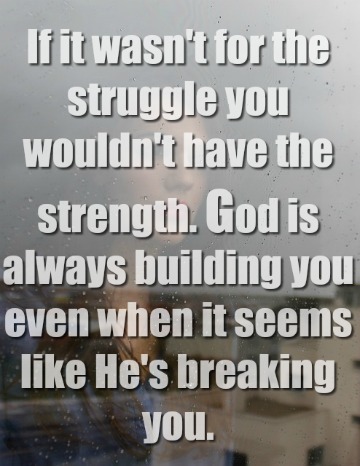 JUST A THOUGHT: God knows best how to strengthen your faith. The distinction I am making is between doing good works to become pleasing to God (works done because of law) and doing good works to please God (works done because of grace). There’s nothing I can do to become pleasing to God. Not only would my motives be wrong in doing good, my efforts would be futile. My nature is sinful, and all the cleaning up I do amounts to rearranging dirt, not genuine washing. For the person who believes, the work Christ did on the cross changes everything. Before, as Romans 7 says, the wanting to do good was in me, but the doing ended up being that which I hated—and that which God hates too, I might add. Because of the new nature God gave me, because of the Holy Spirit in me, and because of the strength Christ provides me, I can now do the good I want to do. And why do I want to do good? To earn points with God? Get jewels for my future crown? Earn a spot closer to the throne? No. The issue is still not about me becoming good or better or pleasing. Who I am in Christ is fixed. But because of what Christ has done, my response, as is true in any love relationship, is to want to give to Him in return for what He has been given to me. In one of the most amazing aspects of God’s love for us, He who needs nothing from us, asks something of us so that we can joyously give to Him as an expression of our love. Hence, my desire—a growing desire, not a fully mature thing—is to please Jesus. Pleasing God, as I see it, is all about getting to know Him. Young people in love do this same thing. Does he like his coffee black or with cream, pie for dessert or cake, the beach or the mountains, football or golf, Honda’s or Chevy’s, and on and on. Why learn all these things? In order to provide him with what he wants, in order to choose his preferences, in order to please him as often as possible. When I stand before God washed of my sins, that should spark in me a response—more and more I should like what He likes, do what He does, speak as He speaks. When I do, I am not more pleasing to God, but He is pleased. When my daughter Leslie was a teenager, there was a word she would say that drove me insane. I know that’s only a short trip for me, but still… It wanted me to shake the teeth out of her mouth, but then there would be that dental bill. So I restrained myself. “What was that word?”, you ask? WHATEVER. I was boring her. It was more than the word, it was the way she said….and her tone of voice. It would usually come at the end of a discussion about getting her to do something, or not do something. Honestly, I believe she said that word because she knew what it did to me. What does this have to do with Kingdom Life? I’m glad you asked. Yesterday I was returning from making a hospital visit in Columbus, Mississippi and it was lunch time, but I also needed to get back home. So I decided to stop at a certain fast food chain and get something to go. I needed to make a pit stop, so I went inside to get my order to go. Remember, I needed to be somewhere else. I walk up to the counter to get some “fast food” and be on my way. And…nothing. The employee who was covering the counter was looking away…looking bore. I looked at the other employees, even the shift manager….there it was–the Look of Boredom. Even after she finally saw me there that look on her face said, “Whatever.” That entire shift looked like prisoners to boredom…to “whatever”. This time I didn’t lose my cool. I am finally discovering that with age, comes wisdom. Not always, mind you…I can show you many examples from a lot of people where age comes alone. I wasn’t impatient or demanding. Honestly, it surprised me that I wasn’t. Patience isn’t one of my strong suits. Instead of being impatient, my heart was breaking for that shift of workers. And this morning I realized one of the reasons why my knack for impatience didn’t kick in at that “fast” food restaurant. It’s a disease that has infected and affected so many in my culture–the disease of boredom. Boredom is the result of feeling empty…yet longing for a life that has purpose, more purpose than is found in the 9-to-5 life. It’s even in churches. Some may want to blame the music or the preacher for making it boring. Granted, some preaching and some music is boring. But boredom? That’s a carrot of a different color. Boredom, as I understand it, is the result of how one thinks–that “whatever” attitude comes from that deep well of emptiness. Our desire for a life with meaning and purpose comes from our Creator. He put His image in us, and trust me on this, there’s nothing boring about God! And honestly, it is hard to be excited about asking, “Would you like a pie with this order?” But it’s more than what job we have or what we do in our ordinary days. It is about living with that razor-sharp focus–like Jesus did when The Creator walked among the creation as one He created. There are many who think that boredom will disappear if they had a different job, a different person in their life, a different house, a different car, lived in a different place. Spoiler alert! If you do get that different job, person, house, car or “whatever”–your boredom will follow you…and patiently wait for that opportune moment to make you bored again. Then it becomes an endless cycle of “whatever”. So how does one break free of this cycle? Glad you asked! Eugene Peterson and his crew renders it this way in The Message: “I’d say you’ll do best by filling your minds and meditating on things true, noble, reputable, authentic, compelling, gracious—the best, not the worst; the beautiful, not the ugly; things to praise, not things to curse.” In case you are still confused about how to break free from boredom, allow me to break the code. Focus on where God is at work. And where is God at work in our culture? Think back to the pattern He revealed when Jesus was in our flesh. Where was Jesus at work? Jesus was drawn towards both the best and worst places. A wedding in Canaan, a leper, a tax collector, a fishing village, the metropolis of the day known as Jerusalem. In short, wherever there were people, people broken and hurting and wounded–where people were joyful and full of praise–there we find Jesus. I know, you think it would be easier to be bored with 10 gazillion dollars in the bank–but it won’t be easier. Happiness will not overcome boredom. The Enemy will make sure of that. But Joy–Joy that flows from what is true, and honorable, and right, and pure, and lovely, and admirable, will smash boredom like smashing that mosquito that has just come out of its winter hibernation. Don’t like the “Whatever Life”–live the Life Jesus revealed in His Life, His Death and best of all, His Resurrection. And remember, Love God with all your heart. Love others the way Jesus loves you. And make sure all the glory goes to Him. It may be tough sometimes, but it is never BORING! Therefore let us go to him outside the camp. Jesus, bearing His cross, went to suffer outside the gate. The Christian’s reason for leaving the camp of the world’s sin and religion is not because he loves to be isolated, but because Jesus did so; and the disciple must follow his Master. Christ was “not of the world.” His life and His testimony were a constant protest against conformity with the world. Although He displayed overflowing affection for men, He was still separate from sinners. In the same way Christ’s people must “go to him.” They must take their position “outside the camp,” as witness-bearers for the truth. They must be prepared to walk the straight and narrow path. They must have bold, unflinching, lion-like hearts, loving Christ first, and His truth next, and Christ and His truth more than all the world. Jesus desires His people to “go . . . outside the camp” for their own sanctification. You cannot grow in grace to any high degree while you are conformed to the world. 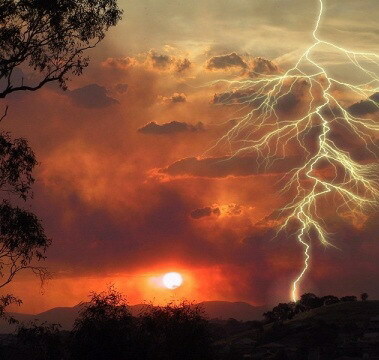 The life of separation may be a path of sorrow, but it is the highway of safety; and though the separated life may be painful and make every day a battle, yet it is a happy life after all. No joy can excel that of the soldier of Christ: Jesus reveals Himself so graciously and gives such sweet refreshment that the warrior feels more calm and peace in his daily strife than others in their hours of rest. The highway of holiness is the highway of communion. It is in this way we shall hope to win the crown if we are enabled by divine grace faithfully to follow Christ “outside the camp.” The crown of glory will follow the cross of separation. A moment’s shame will be well rewarded by eternal honor; a little while of witness-bearing will seem nothing when we are forever with the Lord. Devotional material is taken from “Morning and Evening,” written by C.H. Spurgeon, revised and updated by Alistair Begg. Copyright © 2003, Good News Publishers and used by Truth For Life with written permission. 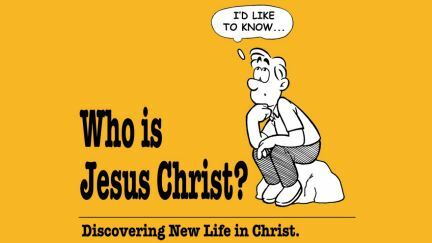 Answer: Jesus was asked this very question by a Pharisee who was considered to be “an expert in the law” (Matthew 22:34–36). Jesus answered by saying, “Love the Lord your God with all your heart, with all your soul, and with all your mind. This is the greatest and most important commandment. The second is like it: Love your neighbor as yourself. All the Law and the Prophets depend on these two commandments” (Matthew 22:37–40). Jesus gives us two commandments that summarize all the laws and commands in Scripture. The Ten Commandments in Exodus 20 deal with our relationship with God and then our relationship with other people. One naturally flows out of the other. Without a right relationship with God, our relationships with others will not be right, either. The cause of the world’s problems is that man needs to be reconciled to God. We will never love our neighbor as ourselves if we do not first love God with all our heart, mind, and soul. All of man’s best efforts toward world peace will fail as long as men are living in rebellion against God. When asked by another Pharisee how one could “inherit eternal life,” Jesus answered that it is by keeping these two commandments (Luke 10:25–37). Only two commandments to obey, yet how often do we, like this Pharisee, try to “justify” ourselves because saying we obey these commandments is much easier than really living according to them. When carefully considered, Jesus’ answer was really a perfect response not only to the Pharisee of His day, but also to all modern-day “Pharisees” who try measure a person’s righteousness by how well he conforms outwardly to a series of laws or commandments. Both the Pharisees of Christ’s day and today’s many versions create a whole system of rules and regulations for people to live by and yet are guilty of breaking the most important commandments of all because they “cleanse the outside of the cup and dish, but not the inside” (Matthew 23:25–26). When we prayerfully consider Jesus’ words and the fact that all the laws and commands in Scripture can really be summarized by these two commandments, we understand just how impossible it is for us to keep God’s commandments and how often we fail to do so and can therefore never be righteous before God on our own accord. That only leaves us with one hope, and that is that God “justifies the ungodly” (Romans 4:5). 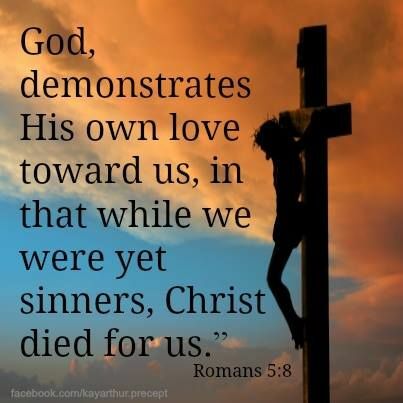 God’s law and our failure to keep it “brings about wrath” (Romans 4:15), but “God demonstrates His own love toward us that while we were yet sinners, Christ died for us” (Romans 5:8). While we will never keep God’s commandments or be righteous before Him by our own efforts, Christ did. It is His sacrificial death on the cross that causes our sins to be imputed to Him and His righteousness imputed to us (Romans 4—5). That is why “if you confess with your mouth the Lord Jesus and believe in your heart that God has raised Him from the dead, you will be saved. For with the heart one believes unto righteousness, and with the mouth confession is made unto salvation” (Romans 10:9–10). After all, the gospel of Christ “is the power of God to salvation for everyone who believes,” for “the just shall live by faith” (Romans 1:16–17). Because Jesus answered this very question and His answer is recorded in Scripture, we don’t have to wonder or search for the answer ourselves. The only question left for us to answer is do we live according to these commandments? Do we truly love God with all our hearts, all our souls, and all our minds, and do we really love our neighbor as ourselves? If we are truthful with ourselves, we know that we do not, but the good news is that the law and commandments were given as “a tutor to bring us to Christ, that we might be justified by faith” (Galatians 3:24). Only as we realize our sinfulness and hopelessness will we turn to Christ alone as the only hope of salvation. 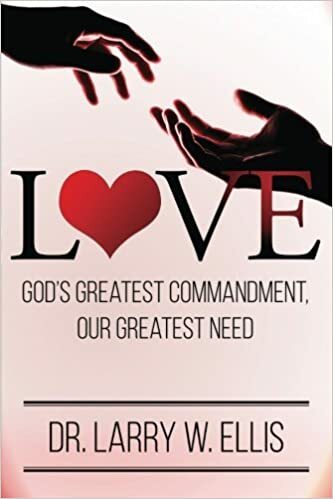 As Christians, we strive to love God with all our heart, soul, and mind, and as our hearts and minds are transformed by the indwelling presence of the Holy Spirit we are able to begin to love others as ourselves. Yet we still fail to do so, which again drives us back to the cross of Christ and the hope of salvation that stems from the imputed righteousness of Christ and not from any merit of our own. More insights from your Bible study – Get Started with Logos Bible Software for Free!